Hay fever (seasonal allergic rhinitis) is a very common condition in New Zealand. Hay fever is an allergic reaction to various pollens. When pollen comes into contact with the wet surfaces of your body (eyes, nose, mouth), your body recognises it as being foreign. In most people, the body ignores the pollen, but sometimes the body releases chemicals, one of which is called histamine, which causes inflammation, swelling, itching and redness of the nose and eyes. Symptoms of hay fever include a runny or blocked nose, sneezing, itchy, red or watery eyes, and an itchy throat. 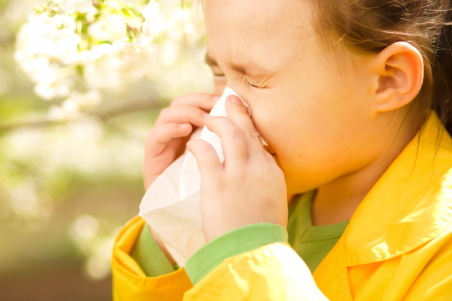 Most people develop hay fever in childhood but it can also start in adulthood. Although not serious, hay fever can impact your quality of life by making it hard for you to sleep, concentrate at school or work, or enjoy being outside. Good preparation and treatment can help. This is particularly important if you also suffer from asthma, because hay fever symptoms can make your asthma worse (80% of people with asthma also have hay fever). It's important to prepare early for hay fever season by visiting your GP so that you can start treatment two or three weeks before the season begins. You may need to use a combination of these treatments daily to keep your symptoms under control. Steroid injections aren't recommended for managing hay fever because the potential risks outweigh the benefits. Immunotherapy or desensitisation treatments are sometimes used for severe hay fever that won't clear up using other treatments. If symptoms aren't seasonal and occur all year round even in the winter months (perennial allergic rhinitis), you may have an allergy to house dust mites or to pets (animal dander). Helpful measures can be found in the resources below. New Zealand information about hay fever. Includes information about symptoms, triggers, and treatment. Printable pollen calendar for New Zealand. This calendar lists plants most likely to cause hay fever symptoms, and what times of the year they are likely to cause problems. Video clips showing the correct way to use a nasal spray. General information about hay fever.